Otter! 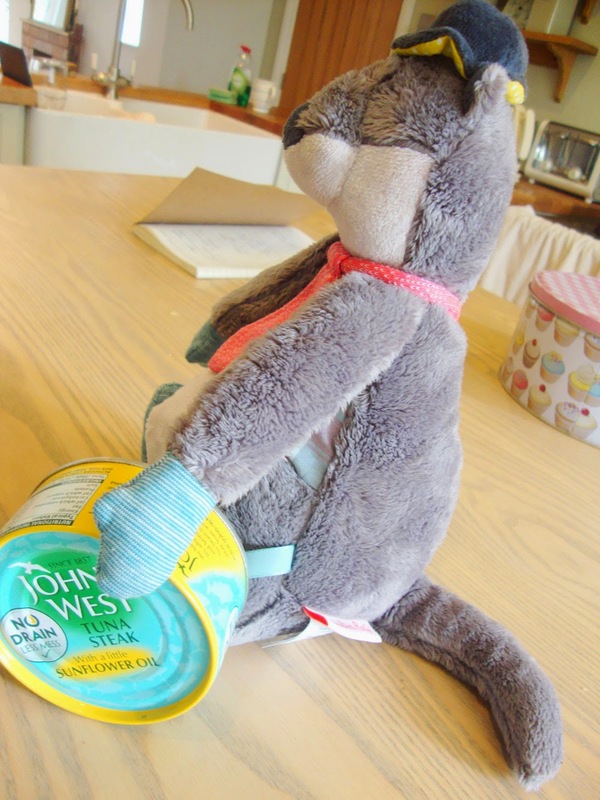 I have an otter! 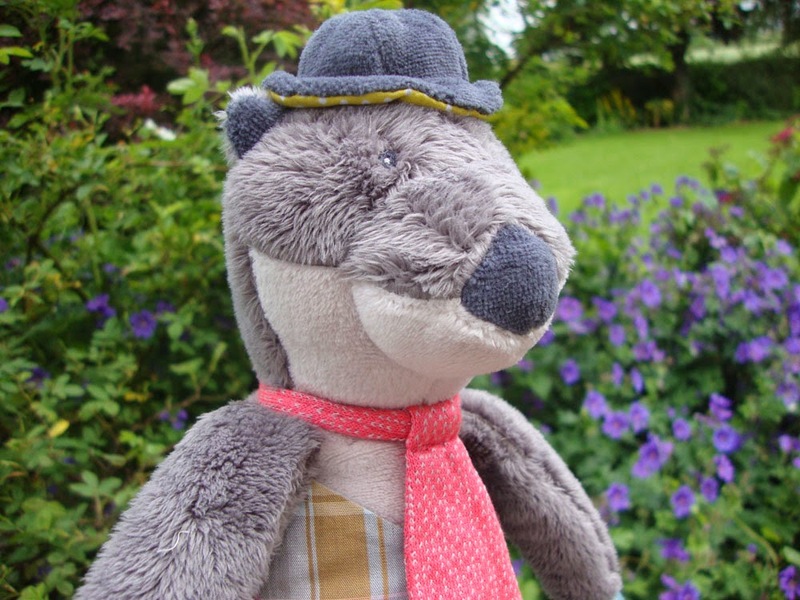 Yes, a brand new Moulin Roty range arrived yesterday (Mademoiselle et Rimambelle - full introduction post to follow) and tucked in the box along with the new rabbits, mice, dolls and owls is... an otter. 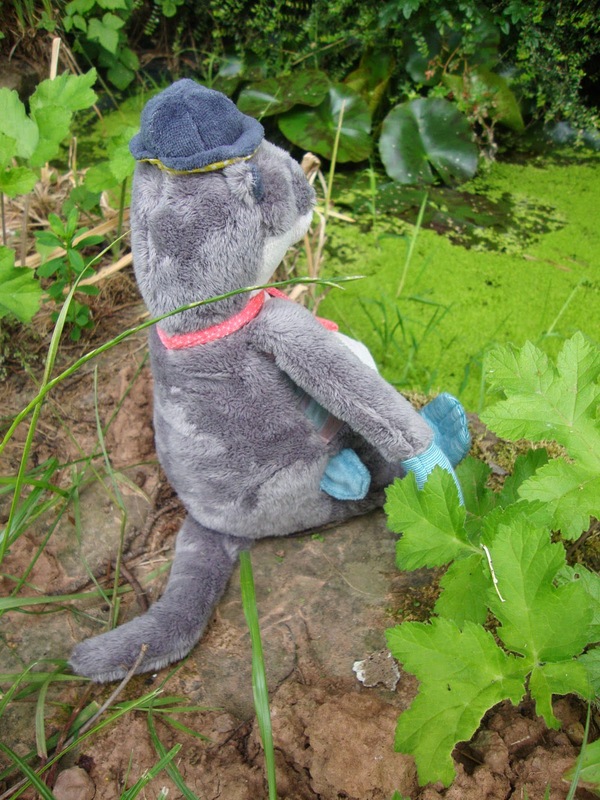 And not just any old otter, his name is Monsieur Loutre. Quite grand really. And he wears a tie. 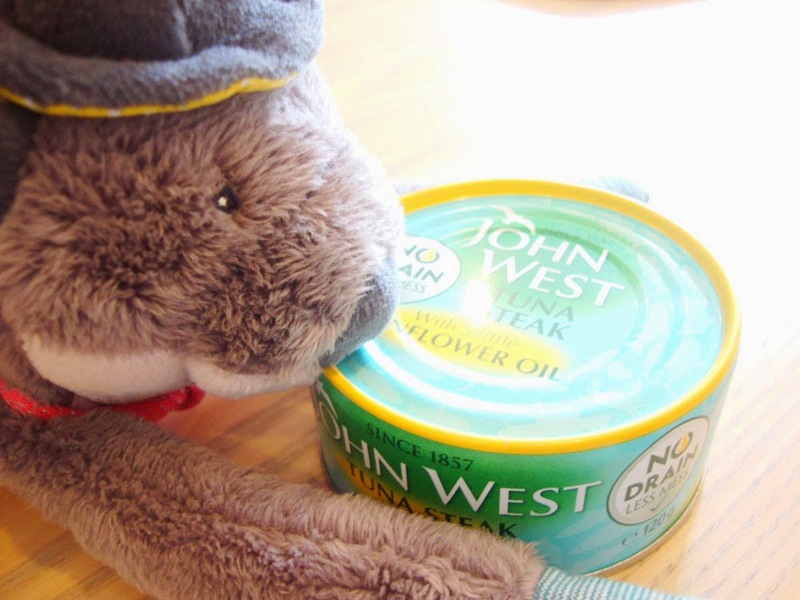 Now, I have never had otters at Cottontails before, so this is unknown territory, but I decided to take him home with me last night and make him feel at home with some water and fish... Even well-to-do French otters otters love water and fish, right? So I arrived home last night with M. Loutre and poked his head around the door into the sitting room (where Mike was watching football). I heard a loud sigh and knew he had been spotted. 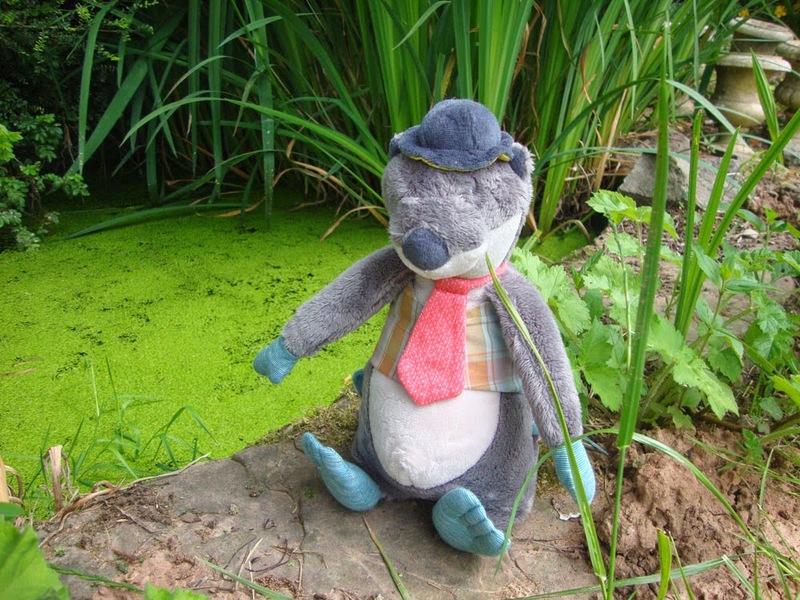 I introduced them properly and said I would be taking M.Loutre out to the pond for some photographs. 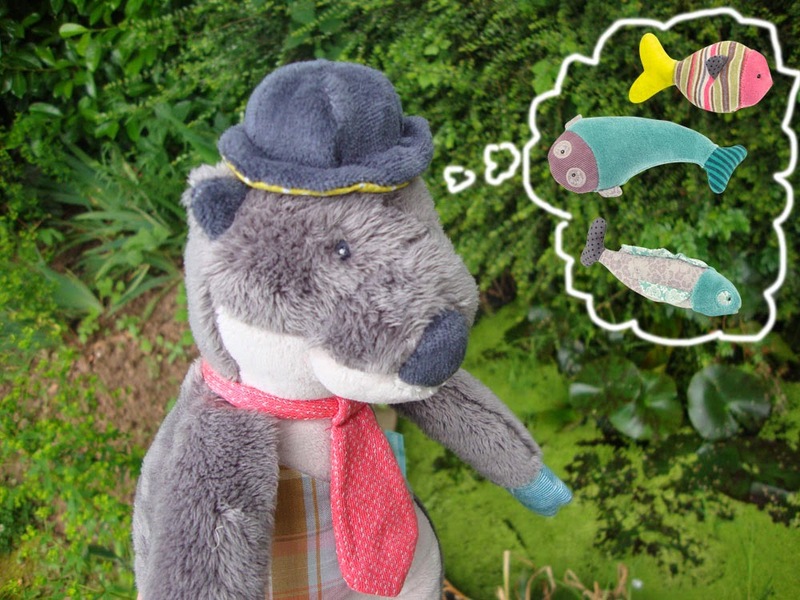 Mike said it would be better to take him to a stream "because otters like running water". 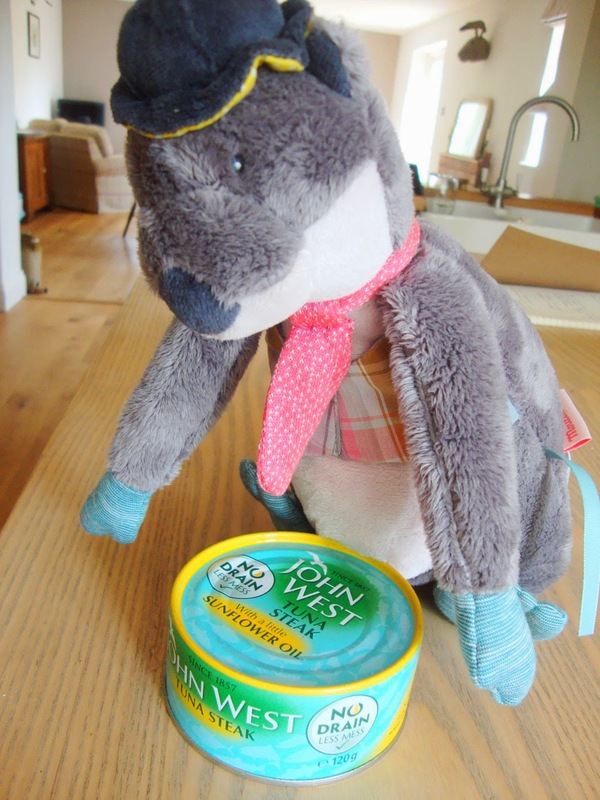 At which point I had to tell him that M. Loutre wasn't actually a real otter. I felt bad but he needed to know.